The T-tail is an aircraft tail configuration which consists in having the horizontal stabilizers in the top of the vertical one. It's name comes from the letter "T" shape it forms. 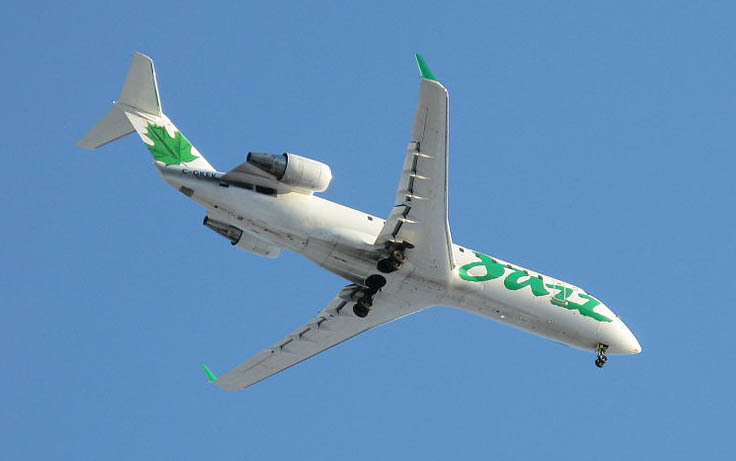 The T-tail is seen in CRJ-200 planes with their engines in the rear body. One advantage of T-tail is that it allows the horizontal tail surfaces to remain clear of jet exhaust. 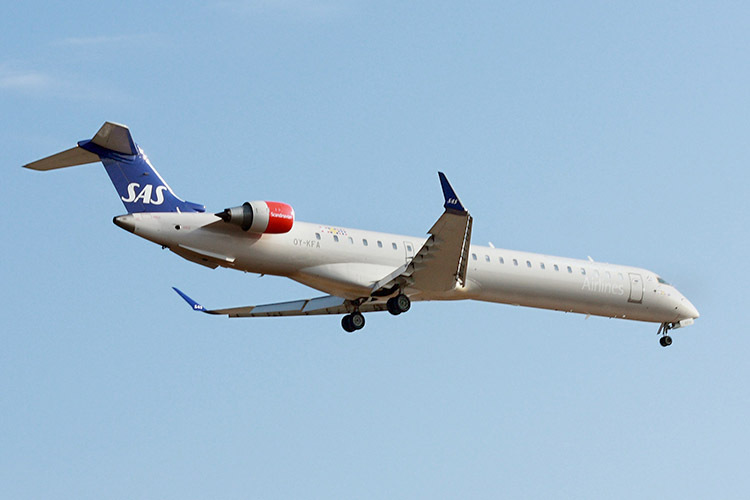 Scandinavian Airlines was a new customer of the CRJ-900 in 2008.